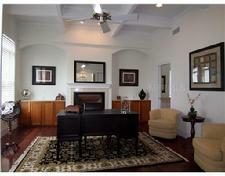 Staging is a proven way to get more money for your home as you prepare it for sale. Homes that are Staged with an ASP Home Stager sell faster and for top dollar. 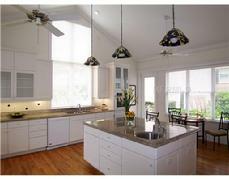 Staging sets the scene to create immediate buyer interest in your property. It is not decorating, the goal is to create an atmosphere that appeals to a wider audience, which translates to more buyers. Let us help you get the most money you can for your home! Mary A. Milburn is an Accredited Staging Professionals. This option is perfect for realtors as well as homeowners. We will meet you at the property and do a walk-thru. 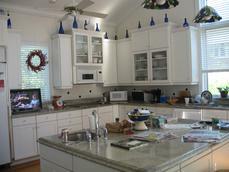 We will then provide you with recommendations that will help you prepare your home for sale. Draw from our expertise as we instruct you on how to make your home show worthy. 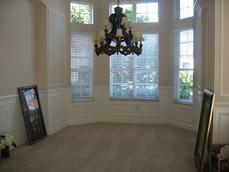 We will recommend how you can best utilize the existing furnishings that are already in the home. We will also implement our recommendations. A few small changes such as moving furnishings and artwork around, adding rugs and clearing out clutter can make all the difference in selling your home. 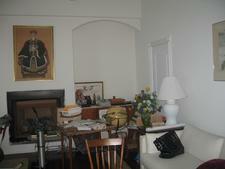 Let us warm up a cold vacant home by bringing in a few pieces of furniture, rugs, artwork and plants. We will create vignettes in three or four rooms. This allows potential buyers to not only get a sense of the room's purpose, but to see themselves living there. Leasing and/or purchasing options are available for this option. We will furnish five or six rooms in the home to highlight the home's best features. We include not only furniture, but accessories, artwork, plants and oh so many details. 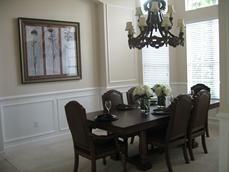 When we are done, potential buyers will be walking into a model home look and feel. Leasing and/or purchasing options are available for this option. Cast a wider net - consider marketing your home as "partially furnished" and potential buyers can purchase! Please contact us to learn more about our Staging services.